Casino Euro – Grid Slot Mania! Play for brand new iPhones! Win Free Spins bundles and one of 6 iPhone X’s! Join the week-long Grid Slot Mania at Casino Euro and collect prizes as they drop randomly from the reels of selected Play’n GO slots. There’s a massive 400 batches of 50 Free Spins on Viking Runecraft to be won, as well as 6 brand new iPhone X’s. And remember, everyone can win more than one prize, so keep spinning to catch the prizes when they drop. Ready for the latest must-have tech gadget? Or do you just need a new mobile? 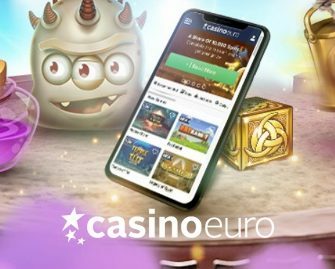 Then jump onto the reels of selected Play’n GO grid slots at Casino Euro until 20th May 2018 and you could win a brand new iPhone X or one of 50 Free Spins bundles on one of the most popular slots from the game provider. Terms and conditions apply. Play actively on Gemix, Golden Ticket, Reactoonz, Sweet Alchemy or Viking Runecraft and you could randomly trigger a prize drop on any spin. Available prizes are 6x iPhone X and 50x 50 Free Spins on Viking Runecraft. An in-game tab within the eligible games displays remaining time and prizes. 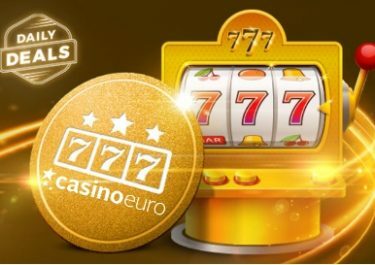 The Free Spin bundles will be credited within 72 hours after they have dropped with a 15x wagering requirement within five days, subject to the Casino Euro bonus terms and conditions. The winners of the iPhones will be contacted via email and will have have 72 hours to confirm or forfeit the prize. Players can win more than one Free Spins bundle but only one iPhone. In case a player wins two iPhones, the second will be raffled off at the end of the promotion among all players who have wagered on the games during the active period. A cash alternative of €800 is available for the iPhones. 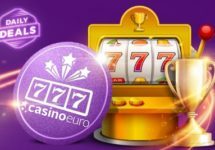 Casino Euro – October Daily Deals | Week 2! Casino Euro – Daily Deals | Week 30!